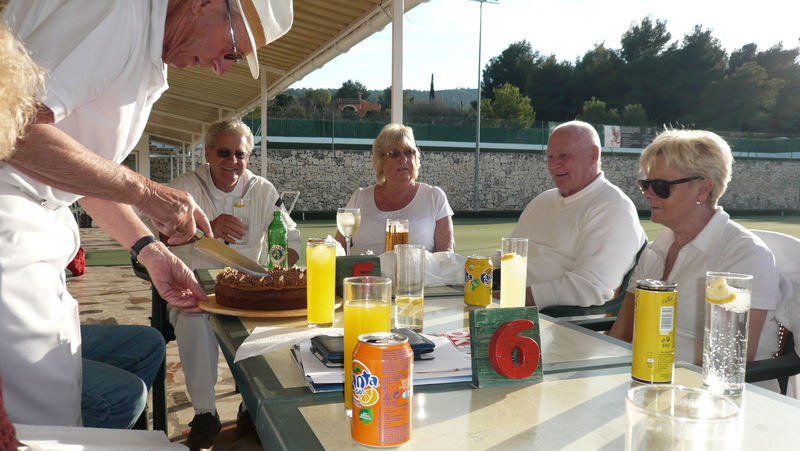 The Wednesday Bowls Group celebrated David Price’s 80th Birthday a couple of days in advance. 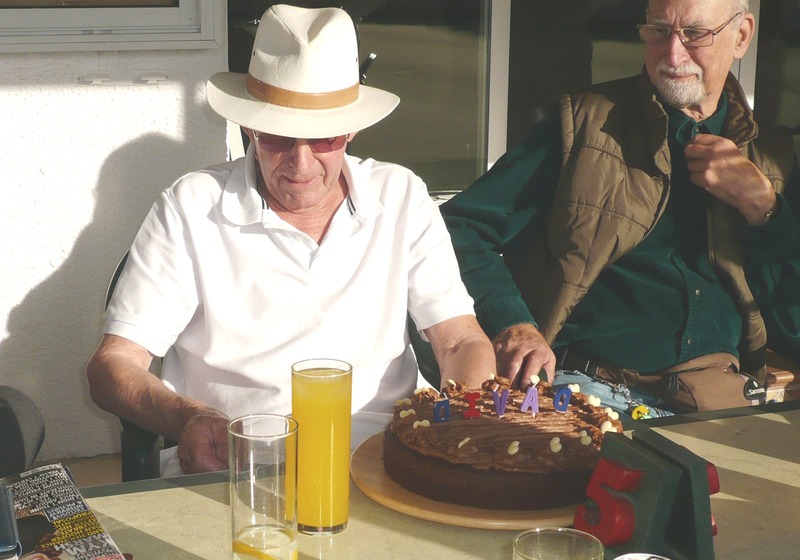 The cake was made by Eileen Haxon (co-Group leader) and was chocolate and orange! Delicious.